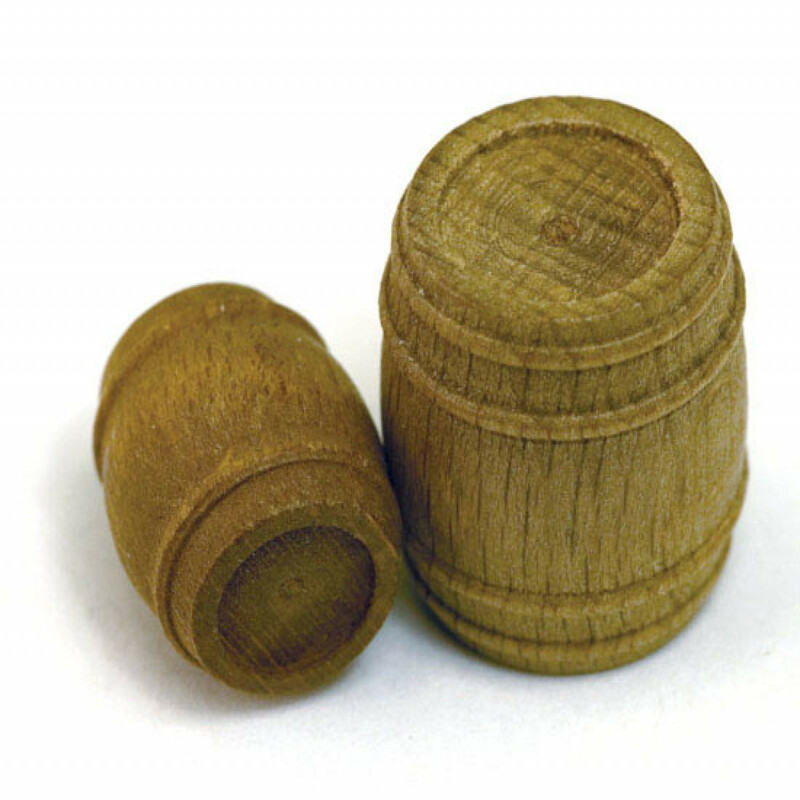 Home > Ships > Ship Model Fittings > Barrels > BARRELS, Walnut 21x30mm 8/pack. PRE-CARVED WALNUT BARRELS 21x30mm 8PCS. Walnut barrel, 21mm diameter, 30mm height (0.827" x 1.181"). Pre-carved and ready to use. 8/pack.